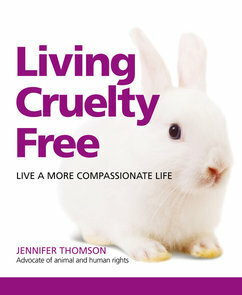 I am so excited that Living Cruelty Free will finally go on sale on March 29th, 2012. The culmination of months of painstaking work, I really do hope it can make a difference. Too often we despair about the cruelty that goes on the world. That's why I decided to write a book that would arm people with the facts they needed to make the world a better place. I genuinely wish this book had been around when I became vegetarian 25 years ago because it's a one stop shop for compassionate living. Most importantly, it stresses that we all need to be more compassionate not just to animals but our fellow human beings. For more details of where to buy, click here. I'd like to thank the BUAV for letting me use their world famous leaping bunny logo in the book, my friends on Facebook and Twitter for helping me to decide what went in the book and my long suffering partner in life and compassionate living, John. You can follow me on Twitter as veggiegirl2011 and I also have a Facebook page dedicated to the book. 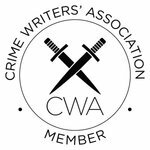 There are so many articles on how to use social networking to your advantage when you're a writer/author. But not so many when it comes to what not to do. People who contually ask you to like their page/book/website/link but they never reciprocate. Authors on goodreads who want you to vote for their book over other books. Fair enough if you have read their book and the other books, but if you haven't and they know you haven't then asking you to vote for their book is A-cheeky, B-an insult to other authors. 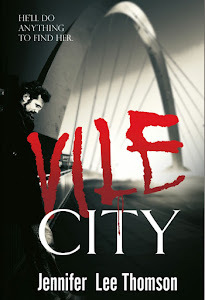 Authors who only promote their own books on Twitter and Facebook and who do it contunously shoving it down your throats. They make no attempt to engage in conversation with you. It's just all me, me, me. My advice? Stop being a self-obsessed social networking monster. Spammers who put links to work at home/get a bigger manhood/prescription meds without a prescription in public pages on Facebook. People who don't apologise when their Twitter account gets hijacked and you end up getting 'someone's saying bad things about you' type messages from the spammers. Hey, one tweet is all it takes to say what's happened so there's no risk of anyone opening any links. Newbie authors who act like the only reason you are following them is because you are a fan. Most writers follow other writers for the friendship. Unless they are very famous that is. Think Stephen King type famous. People who never say thank you when you review their work or like they're page or do something else they asked. A thank you goes a long way.